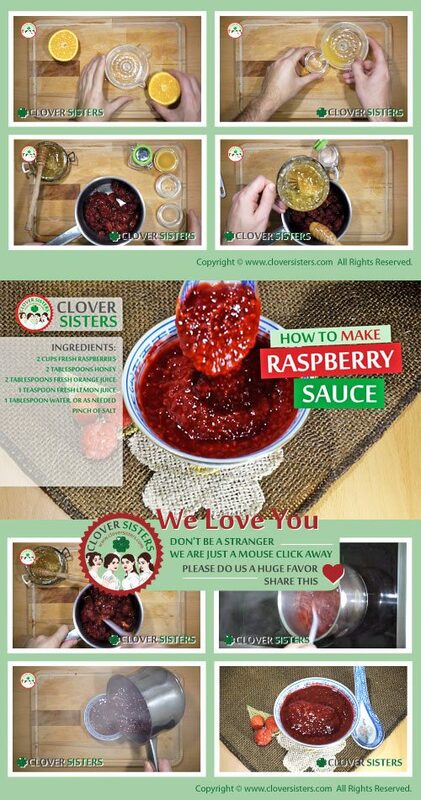 Beautiful and delicious homemade raspberry sauce with smooth texture and wonderfully intense flavor is the essence of the summer. Often overlooked by home bakers this easy to cook sauce is our favorite. Pour over ice cream, waffles or pancakes and enjoy its sweet yet tangy raspberry flavor. 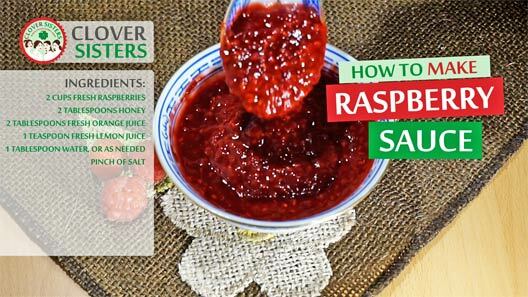 In a medium saucepan over moderate heat combine the raspberries, honey, fresh orange juice, fresh lemon juice, water and pinch of salt and bring to a boil. Cook and stir occasionally until raspberries break down and slightly thicken. Cover and chill.